Get away for a weekend of rest and relaxation surrounded by scenic lake views, plush accommodations and massages at the spa. Our list includes great places to visit, from romantic getaways in MN for couples to large resorts for families, with both luxury and affordable options. Most properties are open year-round and offer a choice of summer and winter activities. We've included driving times from Minneapolis, Minnesota to help you decide where to go. 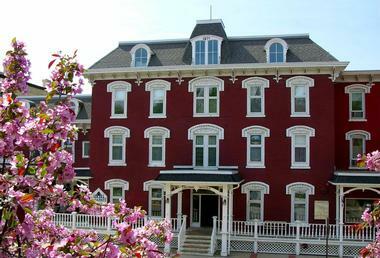 The charming St. James Hotel in Red Wing offers a luxurious blend of contemporary comfort and 19th century décor. Guest rooms and suites are spacious, many with river views. Amenities include plush bathrobes, beautiful Amish quilts, private bathrooms and Wi-Fi. Refined Skin Medi-Spa provides relaxing spa services. Indulge in unique shopping experiences right in the hotel. The Levee, Marita’s, and Vestiges offer a selection of clothing and accessories. Gifts and keepsakes can be found at Clara’s Gifts & Coffee. The Port serves a creative menu and an expansive wine list. The Veranda boasts breathtaking views of the Mississippi River, and a casual dining menu. With a distinctly British influence, Jimmy’s offers classic pub fare and a terrific atmosphere. Outdoor activities abound, including hiking, biking, fishing, golf and boating. Rooms start at $218 per night. 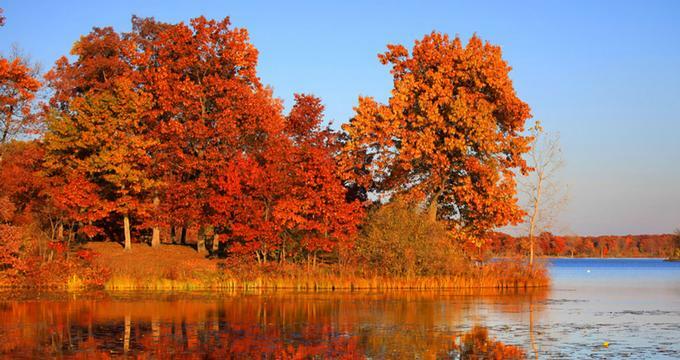 If you are looking for romantic getaways in Minnesota, this is a great place to visit. Keep reading for more road trips from Minneapolis. Read more. Infused with history and romantic charm, the Archer House River Inn is located in the center of downtown Northfield, just a short drive from St. Paul and Minneapolis. The 36 guest rooms and suites are tastefully furnished to reflect the history of the area, complete with private bathrooms and contemporary amenities to ensure guests comfort. There is a workout room, free Wi-Fi access and a conference room that can accommodate up to 100 guests. The Bittersweet Coffee Shop & Eatery serves freshly baked goods and other deli delights, with views of the Canon River. Chapati Cuisine of India serves a selection of Indian dishes to please every palate. The Tavern Restaurant is a casual dining option, with freshly prepared breads and soup. With beautiful views, the Tavern Lounge offers a full bar, with an appetizer menu. If you are looking to bring home some souvenirs, shop at the onsite Bag Lady Gift Shop and Paper Petalum Scandinavian Gift Shop. If you are looking for cheap romantic getaways in MN, rooms at this charming inn start at $89 per night. Tucked away in the Minnesota wilderness three miles north of Two Harbors, the Northern Rail Traincar Inn provides one of the most unique lodging experiences which will be fun for families and couples. 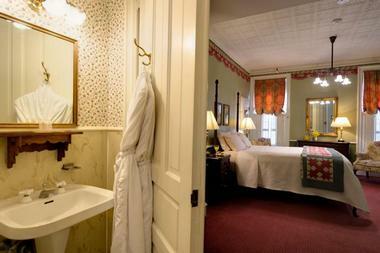 The Inn offers 14 cozy bed and bath rooms for guests as well as three suites that are authentic, full-sized box cars. Rooms boast several different unique themes such as Safari, Oriental, Fishing, Golf, Lighthouse, Victorian and Bear. Every room offers views of the surrounding wilderness as well as continental breakfast, and flatscreen TVs with DVD players included. Additional amenities include snowshoes available for hiking along the trails, Wi-Fi in the lobby, campfires when permitted, and a lending library of toys, games, DVDs and books. Travel the few miles into Two Harbors and choose from several restaurants such as Louise’s Place where you can have a robust breakfast, The Pub for some of the best pizza or fish & chips, and just a little something for your sweet tooth at Betty’s Pies. Rates start at $87 per night. The family-friendly Grand Ely Lodge Resort & Conference Center is a year-round weekend getaway on the shores of Shagawa Lake, MN. The 61 spacious guest rooms and suites have scenic lake views, private bathrooms and rustic log furniture. Guests can use paddleboats, kayaks and canoes to explore Shagawa Lake, hike on marked trails, go biking and have fun outdoors. Winter is the time for cross-country skiing, dog sledding, snowshoeing and ice fishing. The Northern Lights are a spectacular must-see. The Evergreen Restaurant offers casual dining. The Antlers Lounge has a full bar and serves hearty appetizers next to the fireplace or outside on the deck. Venture into Ely for small-town charm, fine and casual dining options, boutique shopping, museums and golf. Spend time at the North American Bear Center and International Wolf Center. Rooms start at $130 per night. Keep reading for more road trips from Minneapolis. The Water Street Inn in Downtown Stillwater, Minnesota, is a romantic couples’ getaway with historic charm. The 41 guest rooms are tastefully decorated to reflect the Victorian era, complete with private bathrooms, double whirlpool tubs and cozy gas fireplaces. Ask for a room with a balcony and a view of the St. Croix River. The lobby is a prime spot for unwinding, while the spacious river-facing patio is a great choice for coffee or an evening beverage. Charlie’s Irish Pub offers standard hearty pub fare, a selection of micro-brews, and live Irish music on weekends. Charlie’s Restaurant serves casual and fine American cuisine for breakfast, lunch, and dinner, along with an impressive wine menu. Dining and shopping opportunities are just steps away from the inn’s front door, as are many entertainment choices. Explore nearby vineyards, play golf during in the summer, and ski in the winter. Rooms start at $209 per night. Keep reading for more day trips in MN. Cedar Valley Resort offers a picturesque setting, ideal for relaxation, family retreats, and appreciation of the natural beauty of the Root River Valley. Nine spacious log-sided cabins accommodate anywhere from 2 to 40 guests. Cabins include kitchens, private bathrooms, Wi-Fi, and all of the comforts of home. Guests can play Frisbee golf, sand volleyball, basketball and bocce ball. Three large playgrounds offer plenty of space for children to run and play while parents indulge in a therapeutic massage. The onsite shop sells grocery basics and souvenirs. Abundant wildlife and nearby trails invite you to hike, bike, fish and kayak. Casual and fine dining options are just a short drive away. Visit nearby art centers, live entertainment, golf courses, museums, shopping centers and vineyards. Off season rates start at $150 for two from November to May, while peak season rates start at $400 for 6 guests. If you are looking for a family weekend getaway where kids can play both indoors and outdoors, head to the Edgewater Hotel & Waterpark in Duluth. The resort offers 232 guest rooms and suites, a 35,000-square-foot indoor waterpark, pool, hot tub, arcade, and spectacular Lake Superior views. Amenities include laundry, dry cleaning, a complimentary local shuttle, Wi-Fi, mini golf course and free bicycle rentals. Tiki Tom’s Big Breakfast Buffet offers a selection of breakfast favorites. Lava Java serves freshly brewed coffee, pastries and sandwiches. Tiki Tom’s Oasis & Grill serves casual options and mixed drinks. The Sunrise Lounge has an adult atmosphere, a full bar, and views of the lake. Guests can shop at the onsite gift shop or head into Duluth. Rooms start at $97 per night. Siskiwit Bay Lodge Bed & Breakfast is a romantic getaway on Lake Superior in Cornucopia, Wisconsin. The three spacious, well-appointed guest rooms have private bathrooms, each with a view of the lake, balcony, fireplace, Wi-Fi, refrigerator and coffeemaker. If you are celebration a special occasion, check into the Siskiwit Suite which has a full kitchen and a Jacuzzi bath. The lodge has a lounging area, complete with an impressive wood-burning fireplace. The spacious outdoor deck is perfect for star gazing. Relax with lake views in comfortable Adirondack chairs, or warm up next to the outdoor fire pit. Breakfast is served the dining room. Area activities are seasonal and include waterfall tours, hiking, paddle boarding, guided fishing trips, golf, dog sledding, and snowshoeing. Rooms start at $170 per night. Hawks View Cottages and Lodges in Fountain City, Wisconsin, offers five tastefully decorated cottages on a wooded bluff, with great views of the Mississippi River. Two spacious lodges, which overlook the valley and the vineyards, can accommodate larger groups. Two suites located above the tasting room offer easy access to downtown Fountain City. Amenities include Wi-Fi, climate control, whirlpool tubs, and outdoor spaces with scenic views. Guests are treated to a complimentary bottle of wine, along with tea and coffee. The cottages and lodges have full kitchens, so that guests can prepare their own meals. Nearby restaurants provide additional dining options, while the Seven Hawks Vineyard offers wine tasting experiences. Head into town to visit museums, a sculpture garden and go shopping. Cottages start at $185 per night. Baker's Sunset Bay Resort is a year-round getaway offering all of the amenities needed to ensure plenty of rest and relaxation. There are 81 guest rooms, suites, and family-sized units that can sleep up to 12 people. Guest accommodations are spacious and well-appointed with contemporary amenities and Wi-Fi. Ask for a room with a view of Lake Delton. The sandy beach offers volleyball and other games. Rowboats and kayaks let you explore the lake during the summer months. The indoor saline swimming pool area has a whirlpool and a dry sauna. The outdoor swimming pool has a child-safe wading pool and activity area. The recreation building features an arcade and fireplace. The nearby town of Wisconsin Dells offers restaurants, shopping and entertainment. Rooms start at $78 per night. Guests of the Alexander Mansion Bed and Breakfast in Winona get to appreciate the refined environment with Victorian influences. The five beautiful rooms have been carefully decorated and arranged with charming antique décor. Guests will find all the usual amenities in their room, and a TV can be installed upon request. The bed and breakfast has numerous places where guests can relax and visit. The gardens are particularly lovely, and for those who are in the mood for shopping, there is also a gift shop. A gourmet breakfast is served in the dining room, with private seating available in the parlors or on the veranda. Breakfast includes fruit dishes, muffins, fresh pastries, and egg dishes. Rooms start at $119 per night. Minneapolis is a vibrant, modern, fun city with beautiful nature, a rich art scene and activities for all ages and interests. Enjoy the Minneapolis Institute of Arts’ rich collection from all over the world displayed through 80,000 objects. Another great place to take in art is the Walker Art Center, which showcases modern artists of Minneapolis. Those looking for beautiful scenery should check out the Minneapolis Sculpture Garden in the lovely park across the street. Kids will love Minnesota Zoo where animals are housed by habitats and not by species, and the Sea Life Minnesota Aquarium where they can feed seahorses, stingrays and rainbow reef fish. Try to catch a performance at the Guthrie Theater or at the Children's Theatre Company, ride a bike along the 13-mile path around the picturesque Chain of Lakes or paddle a kayak on the calm waters. Let the guides of the Mississippi River Adventures take you on an exploration of the Mississippi River and show you the spectacular Minneapolis skyline from the water. There is a lot to do in Duluth and much of it happens outdoors on the shores of beautiful Lake Superior or in the city’s magnificent parks. Take a stroll through Canal Park on the waterfront and enjoy the view of the imposing Aerial Lift Bridge, quaint art galleries, shops, restaurants, cafes and hotels. Learn more about the bridge and shipping on the lake at the Lake Superior Maritime Visitor Center. Enjoy a tour of the imposing early 20th century mansion Glensheen, The Historic Congdon Estate, with its 39 rooms and magnificent English gardens. Take the kids to the Marshall W. Alworth Planetarium, where they can enjoy an education program complete with a dark sky show. At the Hawk Ridge Bird Observatory, not only can you observe these magnificent birds, but you can also enjoy the large unspoiled wilderness reserve. Grand Marais is a quaint, picturesque harbor village situated between the mighty Sawtooth Mountains and the banks of the vast Lake Superior. Its breathtaking beauty has been attracting artists, musicians, photographers and artisans for decades, some of whom come to create and end up making Grand Marais their home. Start your exploration of the harbor by sipping coffee at one of the many charming cafes where you can watch the beautiful sailboats go by, the adorable otters playing in the waters by the dock or the creative artists capturing the magical beauty of the lake. Nature lovers should take the scenic Gunflint Trail between Lake Superior and the wild, unspoiled Boundary Waters Canoe Area Wilderness. To learn about the local history, visit the Cross River Heritage Center, and those looking to take an art course should visit the renowned Grand Marais Art Colony or North House Folk School. St. Paul has many faces: It is known as the craft beer capital of the country, for its prohibition-era gangster past and for its vast natural beauty created by the confluence of the majestic Mississippi and Minnesota rivers. Get a feel for this modern, lively city by strolling through its busy downtown with the Minnesota State Capitol building and the imposing Cathedral of Saint Paul. Children and adults alike will enjoy exploring the renowned hundred year old Science Museum of Minnesota and the Marjorie McNeely Conservatory at Como Park, where there is a zoo and a number of fun rides. Take the tour of the historic 1891 James J. Hill House to get a glimpse into the life of a prominent St. Paul family, or take one of the Gangster Tours organized by the Landmark Center and visit the spots that gave St. Paul such a bad reputation during the prohibition. A picnic on Raspberry Island is the perfect setting to watch the water of the mighty Mississippi flow towards the ocean. Walnut Grove, Immortalized in Laura Ingalls Wilder’s novel Little House on the Prairie, is a tiny town in Redwood County, Minnesota, surrounded by fertile land and rich agriculture. Known for the black walnuts planted in the town at the end of 19th century when the city was established, Walnut Grove has a surprising number of interesting attractions and activities such as the fascinating Currie End-O-Line Railroad Museum, where kids can ride a miniature train. History buffs will want to see the unique Jeffers Petroglyphs exhibition of more than 2,000 ancient carvings on enormous slabs of red quartzite created by American Indians. For a beautiful day out, visit the Alexander Ramsey Park with rock cliffs, winding streams waterfalls and a zoo, or, if you’re feeling lucky, take a trip to the Jackpot Junction Casino Hotel, where you can even play a round of golf. Created by glaciers almost ten thousand years ago, Boundary Waters Canoe Area Wilderness is a unique region in northeast Minnesota near Grand Marais. This million acre area consists of scenic rugged cliffs, canyons, hills, rock formations, sandy beaches, rocky shores, lakes, streams, small islands and dense forest, creating a unique and spectacular recreation area. It has more than 1,200 miles of marked canoe routes, 12 paved and unpaved hiking trails and more than 2,000 campsites. It is an enormous wilderness area that is meant to stay wild and unchanged, offering solitude and a closeness to nature not easily found elsewhere. Named after the French Canadian voyageurs who paddled through on their birch bark canoes trading fur in the late 18th century, Voyageurs National Park in Minnesota is a verdant wonderland. More than a third of it lakes, with about 200 campsites, can be reached only by boat. About 900 islands are scattered over 30 lakes, shared between the USA and Canada, a border hidden among reeds and dense boreal forest groves. Motorboats, canoes and kayaks can often be seen exploring the hidden narrow waterways, while walleye, northern pike and smallmouth bass are hiding from the patient fishermen who have as much of a chance of catching fish as spotting a loon or bald eagle that soar the skies over the park. You can spend time alone, communing with nature, take a tour and hear stories from the local naturalists, tour historic sites with a park ranger or take a boat trip on the Rainy and Kabetogama lakes. The International Wolf Center is a research and educational organization and interpretative center based in Ely, Minnesota. The Wolf Center occupies a 17,000 square foot space, with a 1.25 acre enclosure where four Northwestern ‘ambassador’ wolfs can be seen by visitors through large windows as they communicate, play, eat and hunt. Visitors can also see film presentations in the Interpretative Center Theater. The center organizes fascinating Learning Adventures such as Wolves After Dark or Mush with Dogs, Howl with Wolves. The center’s goal is to improve the survival of wolf populations through educating visitors about wolves and the role humans play in their future. Split Rock Lighthouse State Park is a 2,260 acre park located on the north shore of Lake Superior in Beaver Bay, best known for its fascinating historic lighthouse built in 1910, perched high up on the cliff, which is now a museum. Original red and white pine that used to cover the park have been heavily logged or burnt in forest fires, so today’s vegetation cover consists of birch, spruce, fir and ash. White-tailed deer, black bears, moose, raccoons, red foxes, snowshoe hares, lynxes and bobcats live in the park but are rarely seen, and peregrine falcons live and nest on the cliffs at the coast. Hiking trails in the park link to the popular Superior Hiking Trail, which meanders along the Lake Superior coastline. The trail passes by several beautiful waterfalls and forest stands, and in the winter, the park is popular for cross-country skiing. Clemens Gardens is a beautiful seven acre garden designed in the tradition of the great European gardens and gifted to the city of St. Cloud by William and Virginia Clemens. Located on the banks of the Mississippi River, Clemens Gardens consist of six thematic gardens that include the Formal Garden, built around the Windsor Court fountain, and the Virginia Clemens Rose Garden, which has about 1,100 roses of 70 varieties, and where something is always in bloom between June and September. The "Jenny Crane" fountain is located in its center.